Although this tweak has been on for like a day now, but due to the mixed comment have been seeing, I just decided to confirm it myself before writing anything on it and believe me its really blazing. If you are tired of hunting magic Ips for your Etisalat, tired of the throttling issue with Etisalat chat/social pack or the capped Mtn bis plan and the frequent disconnection then you might want to give this a shot. 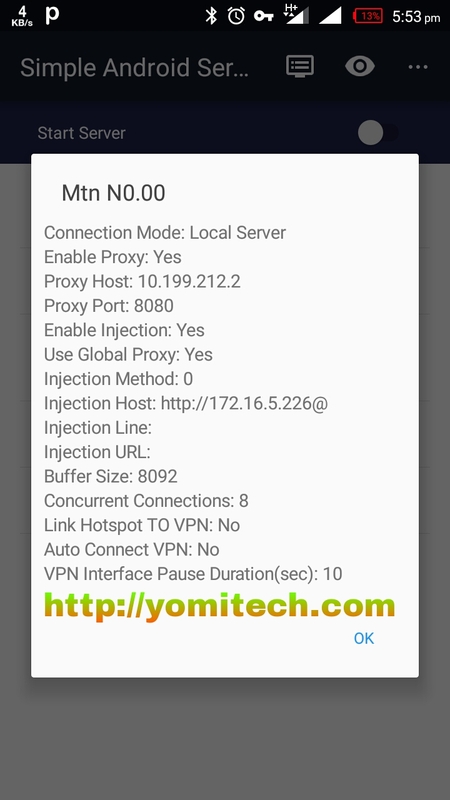 Unlike the Etisalat N0 magic ip tweak, this tweak actually works on many VPNs like psyhon, Simple Android Server, HTTP injector e.t.c. Other reasons why you might want to pick this over the etisalat N0 is that it connects faster, doesn't easily disconnect and it will also save you the stress of frequently searching for Ips. l you what to do if it fails to connect. 1. Download and Install Simple Server from this LINK1 or LINK2. 3. Click on connection settings and configure as shown below. 5. Click on chose Tweak type and select "host replacement"
That's all!! Just go back and start Server. Then you can Start browsing once it connects. 1. 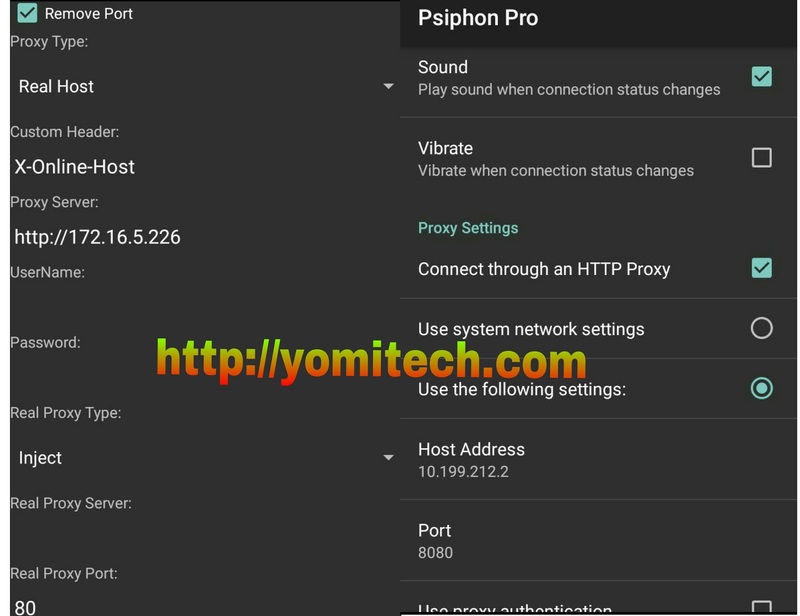 Download and install your Psiphon handler from this LINK. ==> Proxy Type = Real Host. ==> Real Proxy Type = DEFAULT. ==> Real Proxy Port: 80. 3. After that, click on save. 4. Choose tunnel whole device. 5.under region select Best Performance or USA. ==> Tick connect through an HTTP proxy. Press your back button and connect. 1. Download and install http injector from this LINK. 2. Download the config file from this LINK. 3. Launch http injector, click on the three dots at the top right corner ànd select import config. 4. After that, click in start and you are good to go. What To Do If It Fails To Connect: 1. Try going through your setup all over again. 2. Use another Sim card. If you have any question, feel free to drop it in the comment box below . And for those who want to join the WhatsApp group, just drop your No in the comment box below. 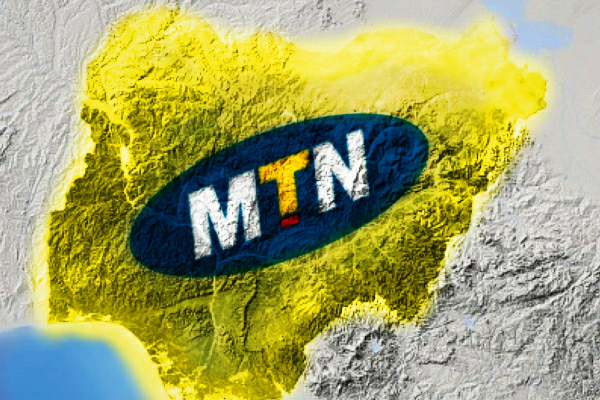 Any http injector config file for MTN Afghanistan ?